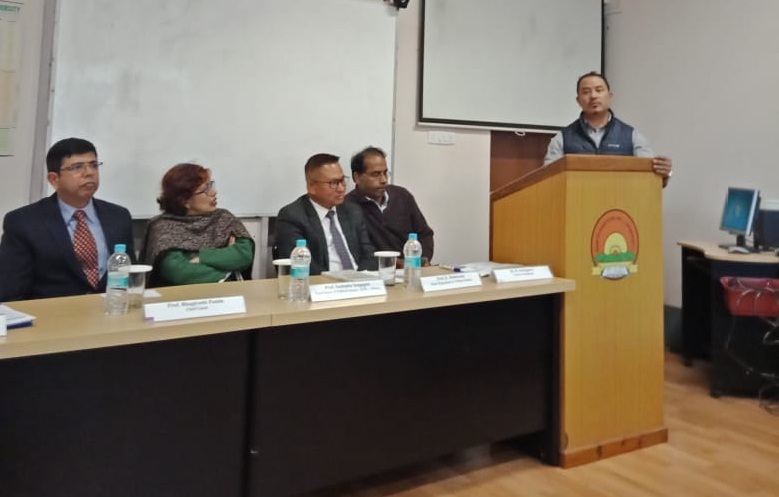 The Dept of Political Science, North-Eastern University, Shillong alongwith HRDC NEHU successfully completed organizing the three weeks long Refresher Course in Political Science, on State and Globalization, which began from October 22nd, 2018,which saw active participation of thirty eight Asst Profs from various universities and colleges of different parts of North Eastern India region as per UGC mandate, selected out of sixty nine applicants for the course. The course was coordinated by Dr Biswajit Mohapatra. During the period, eminent resource persons both from within NEHU and from other universities of the region, Prof Shantanu Chakrbarty from Calcutta University, Prof Shibashis Bhattacharjee from Jadavpur University, Prof Nani Gopal Mahanta of Gauhati University, Sanjib Kakoty, Asso Prof, IIM Shillong, Prof Sajal Nag, Assam University, Prof Jagpal, IGNOU, New Delhi, including Former Ambassador of India, Mr Rudi Warjri, Mr D. Prakash, IGP,CRPF and Mr V. T. Darlong, Vice Chancellor, MLCU, Shillong, besides others, delivered lectures on the following themes :i) Concept, Types and Theories of Globalization,ii) Nation States in the context of Globalization, iii) Globalization and Foreign Policy making, iv) Globalization and Developing Countries,v) Growth and Inequality: Impact of Globalization on Indian Economy,vi) Mobilities,Migration and Mobilization,vii)Governance and Citizenship,viii) Gender and Identities and ethnicity,ix) Media –Print, Electronic and Social Media,x) Global Environmental Challenges, Disaster and Climate Change,xi) Globalization and Cultures,xii) Democratization,xiii) Human Rights and Humanitarian Intervention, refugees,xiv) Indigenous people, Refugees and Displacement,xv) War, Crimes and Security(Internal & External ) Challenges to State and Society in the era of Globalization and facilitated critical discussion amongst the participants in order to enable all to understand the challenges being faced by the State and Society and the North eastern Region and its people, in particular, in the era of Globalization and assess their capacity to meet these challenges. 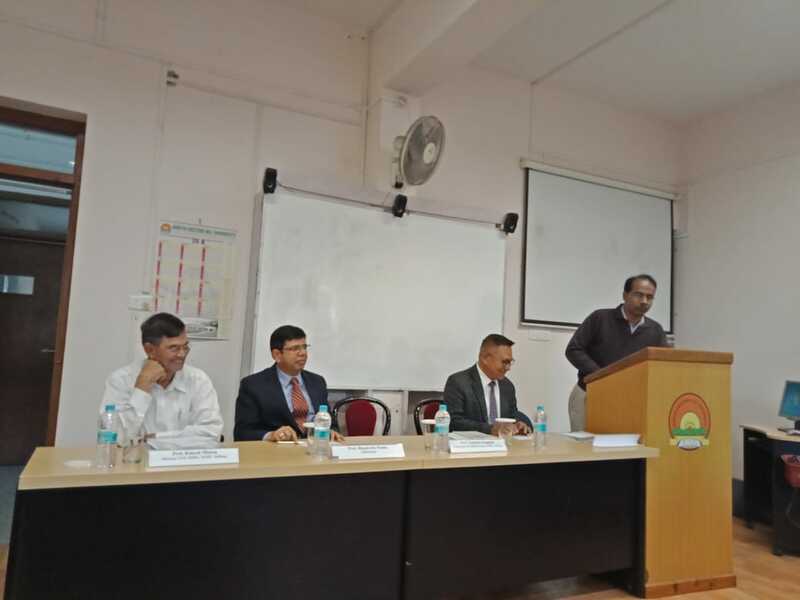 On the last day of the Refresher Course in Political Science, a Valedictory Function, was held on 10th November 2018 at 12 noon, which was marked by the presence of huge number of faculty members, besides Prof Srikanth, Prof Debendra Nayak, Geography Dept. and Dr Shyamal Mandal, of School of Technology etc.. The function was chaired by Prof K Debbarma, HoD, Poltical Science, NEHU, in which Dr Biswajit Mohapatra, the course coordinator, welcomed the dignitaries and participants present and presented a brief report about the various lectures and activities undertaken during the course and exhorted the participants to be a model unto oneself like the Sun and guide others with their well equipped knowledge as teachers of higher educational institutions,in the region. Prof Bhagirathi Panda, Dean, SEMIS, who was the Chief Guest in the function, in his speech, explained lucidly about the inescapability from Globalization for all including the NE region and underlined the rationale as to how we have to compulsively work to make North-East the centre stage of this globalization process, so as to harness the positive benefits for our youth and society. Prof Rakesh Mohan, Director, HRDC-NEHU, in his short speech, thanked the participants for their strong interest in the course and various lectures and appreciated their contribution towards the success of the course, which was followed by a Vote of Thanks by Prof Sushmita Sengupta, from the Dept of Political Science, NEHU.